1. People need a Safe Permanent Home Before Other Supports. Housing First is an evidence based model that tells us something that’s pretty intuitive – people need a stable roof over their heads before they need anything else. Shelter (and food) are the core needs of every individual without exception. This sounds pretty straight forward, but our approach to homelessness in Australia has grown to work in reverse. Over time government responses to homelessness have begun to treat those experiencing it as personally responsible. Rather than seeing the bigger picture (like the cost of housing, domestic violence etc) successive governments have resorted to victim blaming – requiring people to fix their personal deficits before they can be housed. Most people who experience long term rough sleeping typically have complex trauma. Sadly, much of this has been experienced in the care of Government institutions such as the state care system, prisons, hospitals and a long series of difficult interactions with other public services. Mistrust of police, hospital staff, and even homelessness services is common and difficult. Long term rough sleepers are survivors and do need additional supports – like drug and alcohol treatment, life skills training or mental health support. The housing first model does not discount the need for specialist interventions. It says that for people to recover – they need housing first. StreetSmart has been supporting the successful implementation of Housing First projects for many years, such as through Micah Projects in Brisbane. One of the reasons homelessness is on the rise is because of the sky-rocking cost of housing across the country. This is affecting people who might not ordinarily find themselves homeless – including low waged workers, young people, older people and those that find themselves on the economic margins but are otherwise usually able to maintain housing. Jumping in quickly to rapidly rehouse people works to keep people out of homelessness. It prevents the vicious cycle of poverty and homelessness from wreaking havoc on people’s lives. It works through simple measures like short term financial assistance, advocacy with private rental, and getting people into public housing. Not everyone requires intensive support, but some do. Homelessness creates a huge cost to people, and also to public spending. It can be difficult to put an accurate number on the cost of homelessness because its effects are deep and far reaching. It pushes people into hospital emergency departments, contact with the justice system, creates demand for expensive temporary accommodation and creates a system that maintains rather than ends homelessness. It’s easier to imagine the true cost of homelessness at the individual level. Earlier this year we supported the First Nations Homelessness Project to prevent evictions in Perth. By spending $400 on maintenance they saved the Department of Housing the $40,000 cost of eviction. They prevented Child Protection from stepping in to remove now homeless children from their parents. They prevent visits to crisis services, to Centrelink, and prevent the host of health issues that result from homelessness. Homelessness results in multiple traumas, can cost lives, and it costs a lot of taxpayers’ money. Registry Weeks (supported by The Australian Alliance to End Homelessness) enable the use the ‘Housing First’ model by working to mobilise resources at the community level to identify, by name, every individual and family in need of permanent housing, specifically targeting rough sleepers and the most vulnerable. Understanding the real-time demand for housing and support services in each community assists local organisations and agencies to understand the level of housing and support supply that their community requires to end street and episodic homelessness. Through knowing everyone by name a community can put a number, names and faces on a seemingly unsolvable problem. 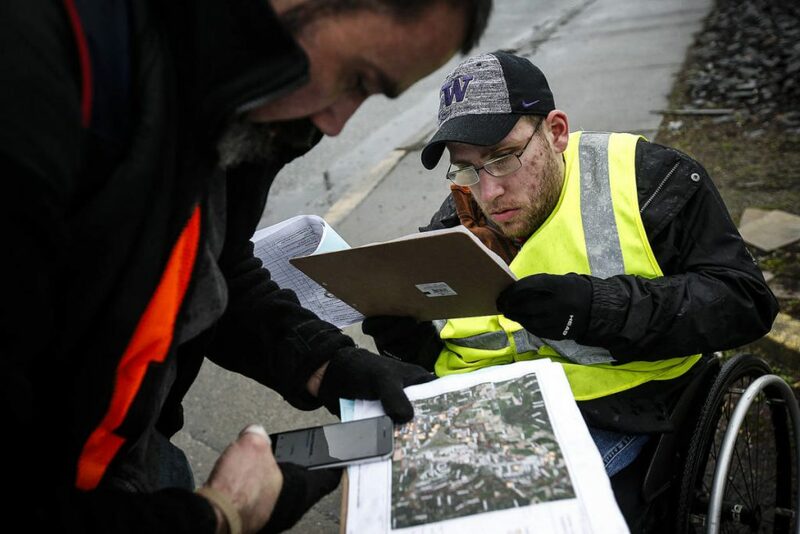 While a street count can gauge the extent of a problem, Registry Weeks take that information and turn it in to permanent housing and appropriately supporting each person who is homeless in the community. Our August StreetFunder campaign is targeting this important intervention and supporting the Australian Alliance to End Homelessness to equip more communities to roll out Registry Weeks and solve homelessness at the local level. We’ve supported the Australian Alliance to End Homelessness Registry Weeks before. It’s a model that works and really does change lives. They were able to half homelessness in Newcastle within 6 months, securing permanent housing and the right ongoing supports. Check out the Australian Alliance to End Homelessness Here.